There is no Indian restaurant in Myrtle Beach anymore. There used to be one; every time I visit now, they appear to be closed. I’m tempted to drive to Wilmington, NC; an hour drive for really good chicken tikka masala seems less of a hurdle everyday. 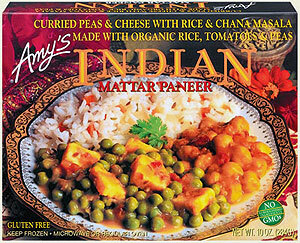 I’ve been eating Amy’s Indian Mattar Paneer almost everyday for lunch. It staves off my real craving, but I’m getting sick of this one dish. I can’t find any of the other indian varieties at our local grocery store. Does anyone know how to cook chicken tikka masala? Or that spinach paneer I love? I’ve never seen this in the grocery store! But then again, I’ve never gone looking for it. Although I don’t have a recipe for chicken tikka masala, I DO have a recipe for a sausage, egg, and cheese breakfast casserole that will knock your socks off. HA.